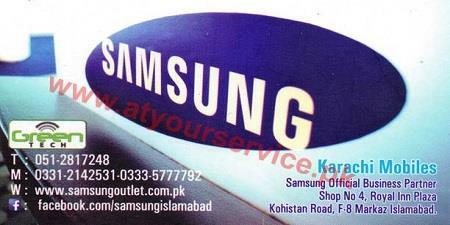 Karachi Mobiles (SAMSUNG) is located in Royal Inn Plaza, Kohistan Road, F8 Markaz, Islamabad. We are official dealer of all SAMSUNG products. For the convenience of our valued customers we are planning to add on this page all our products and services with the most competitive prices in the market.